Set within 12 acres of a private peninsula that overlooks the serene Lake Massawippi, the Ripplecove Lakefront Hotel has been an upscale resort since it was first built in 1945. Whilst starting out with an emphasis on fishing, it has kept with the times and offers a wide range of activities (which are free for guests). Kayaking, sailboats, horse-riding and biking are an example of pursuits on offer, with options such as golf nearby to add to the variety. A recent addition of a spa has therapies and beauty treatments on hand for the more relaxed, and the restaurant provides a comprehensive and tempting menu of wines as well as French and international cuisine. Known for its refinement and romance, the Ripplecove Lakefront Hotel finds a rare balance between its peaceful setting and having plenty to do. Classic Room – Stylish and comfortable country manor décor offering one queen bed or 2 double beds with lake or garden/forest views. Full bathroom, with all the amenities. 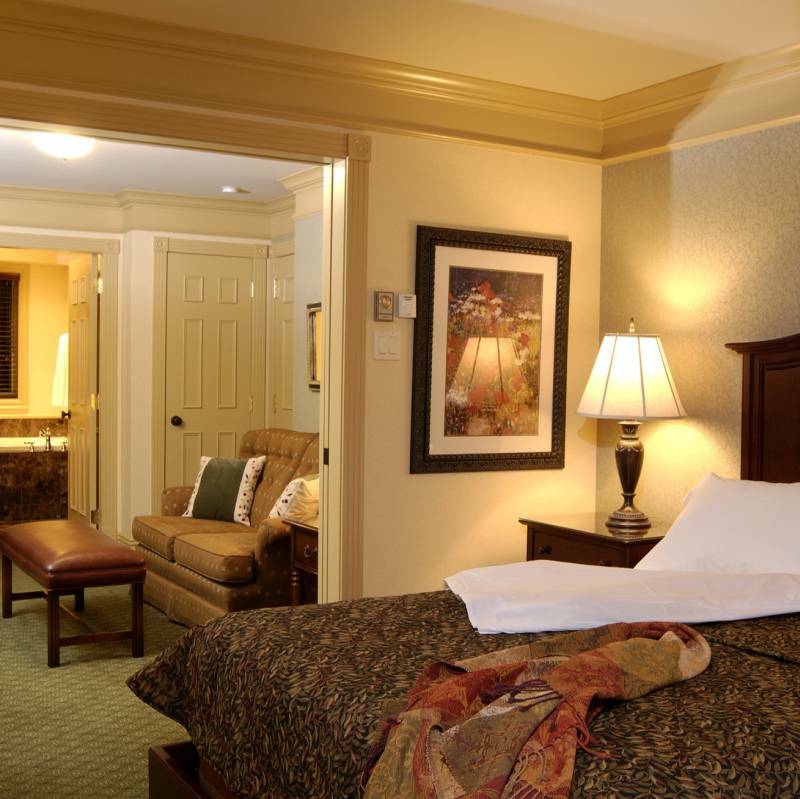 Superior Room – Each designer decorated room offers a queen size bed with lakeview balcony and fireplace. Luxe Room – Beautifully designed and spacious, offering king, queen or 2 double size beds. Majority with lakeviews, balconies, and fireplaces. Most have slate or marble appointed bathrooms, most with hydrotherapy baths. Full bathroom amenities.